The Design of Everyday Things is a powerful appeal for good design, and a reminder of how-and why-some products satisfy while others only disappoint. Successful interaction design requires more than just creating clean code and sharp graphics. You must also fulfill your strategic objectives while meeting the needs of your users. The Elements of User Experience gives readers the big picture of user experience development, from strategy and requirements to information architecture and visual design. Witty, commonsensical, and eminently practical, it’s one of the best-loved and most recommended books on the subject - also the one that made me fall in love with user experience. 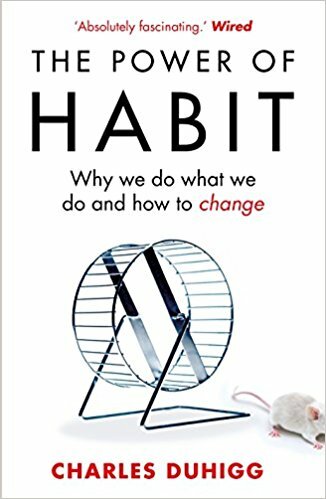 This book is a well worth read that makes an exhilarating case: the key to almost any door in life is instilling the right habit. Service design requires a common language across disciplines to break down silos within an organization. This Is Service Design Doing provides a consistent model for accomplishing this and offers hands-on descriptions of every single step, tool, and method used.